The telltale sign of a household that is run by dogs? No, it’s not just the dog hair covering most surfaces. It’s the toys, strewn about from room to room, owners wincing when they step on the remains of nylabones or trip over rubber kongs. 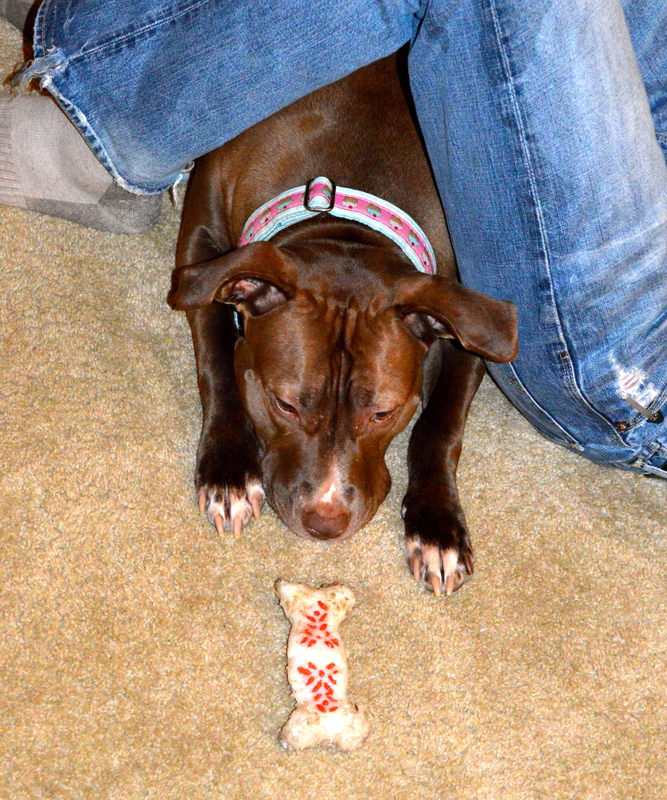 It is no secret that our pups are a bit spoiled. There are three different rooms where the dogs are likely to be found, and in each, lives a bucket that overflows with toys. Many are simply scraps of fabric or plastic, remnants of toys that once were…. monkeys or snakes or piggies. 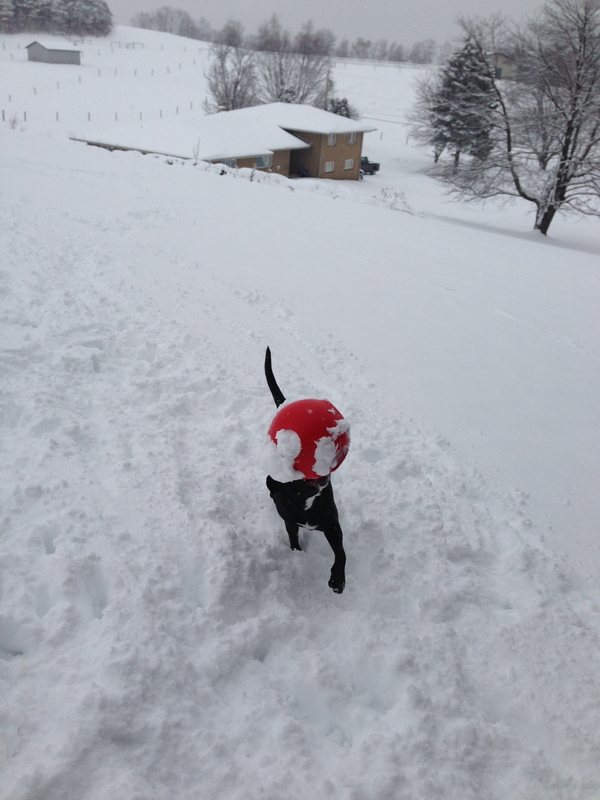 This Paw-zzle Ball, found at Cabela’s, was such a winning purchase. If Gaige is outside, she is either chewing on this toy, chasing it, trying to find it, or trying to steal it. It is a large plastic ball, with a few holes around the outside. On the inside another ball is retained, which rolls around, enticing the dogs to try to plot its escape. 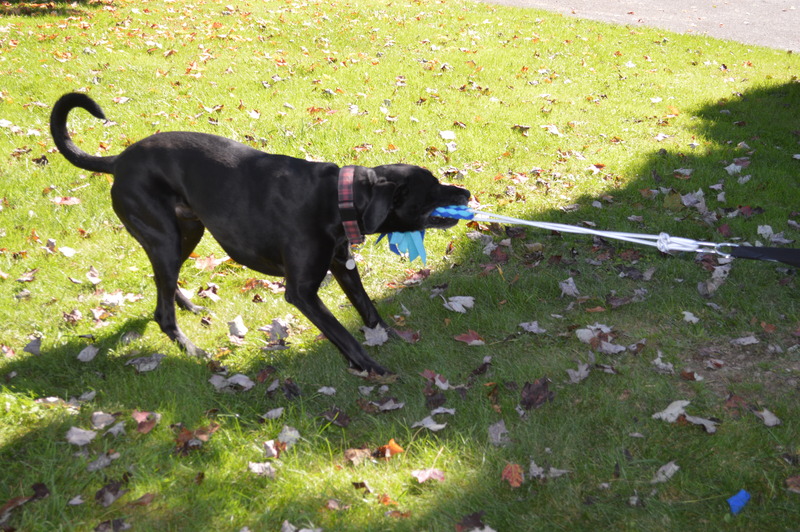 This is an outdoor only toy, due to its size and weight, but it is incredibly durable. 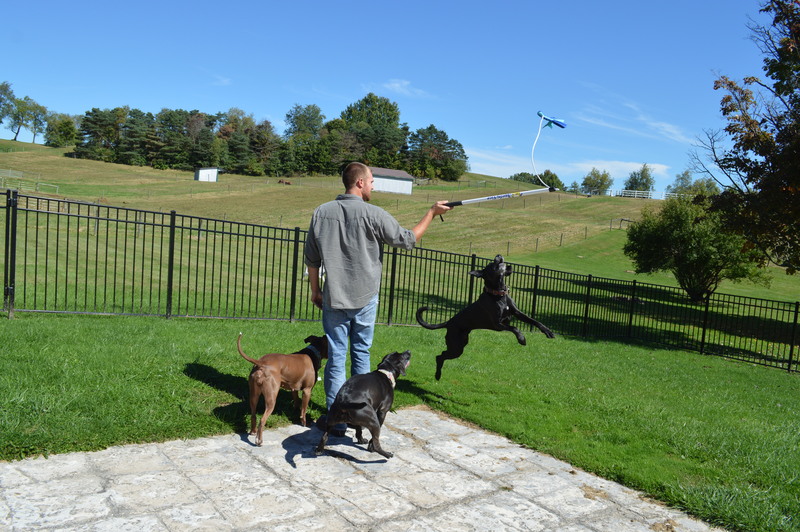 Its numerous holes make it easy for a few dogs to grab ahold and play tug. One warning: Gaige loves to hold this at the bottom, prancing around with her head high in the air (see photographic evidence, above). This creates an obstruction of vision, which may or may not have resulted in a dent to the back of Dad’s new truck! 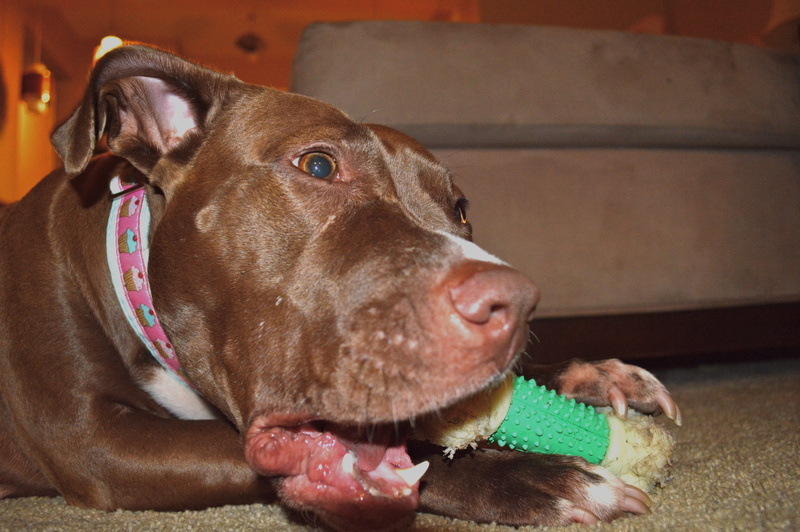 Nylabones are a big deal in our house, but most especially for Gaige and Georgia (might it be their shared pittie heritage?) 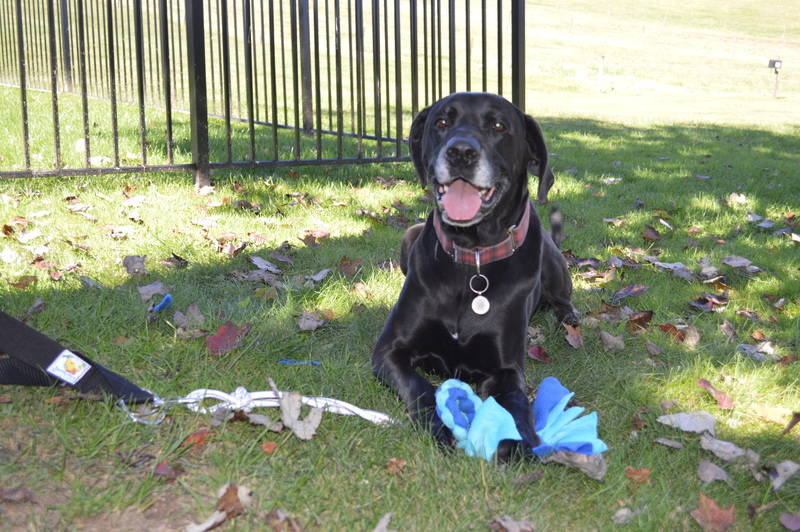 These hard plastic toys are not meant for playing fetch, but work really well for dogs that love to chew, chew, chew. I feel comfortable leaving them with the dogs while in their crates for the day, because I know they will not break off into small, swallow-able pieces. They come in a large variety of shapes/sizes/types, but I know that the quality of Nylabone toys is always impressive, regardless of the specifics. 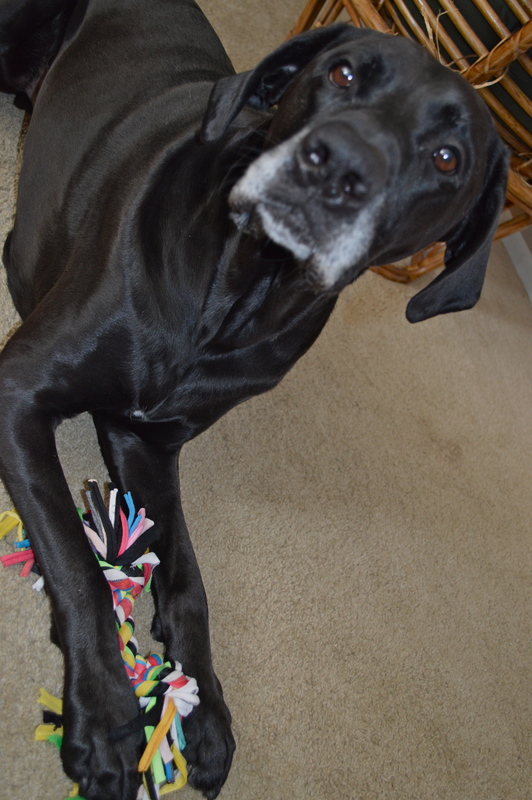 Tonka generally prefers toys that are more cuddly, but these will last long enough to be worth the money! This toy was a spur-of-the-moment purchase from a Marshall’s or Ross’s or similar discount store. I didn’t expect it to last long, because it was so affordable, but it has turned into one of our favorites. 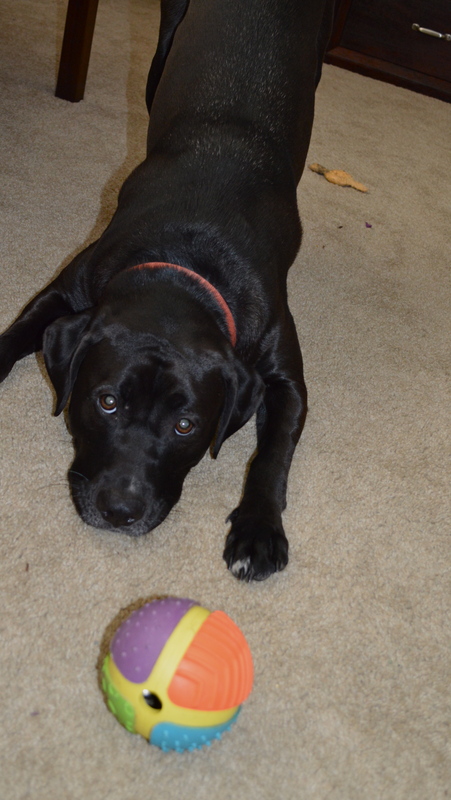 You know those tug toys that our dogs love, but we hate? They are twisted and braided together with rope, which then frays and sheds EVERYwhere. Well this is nothing like those. Sure, it is twisted and knotted and works great for group play. 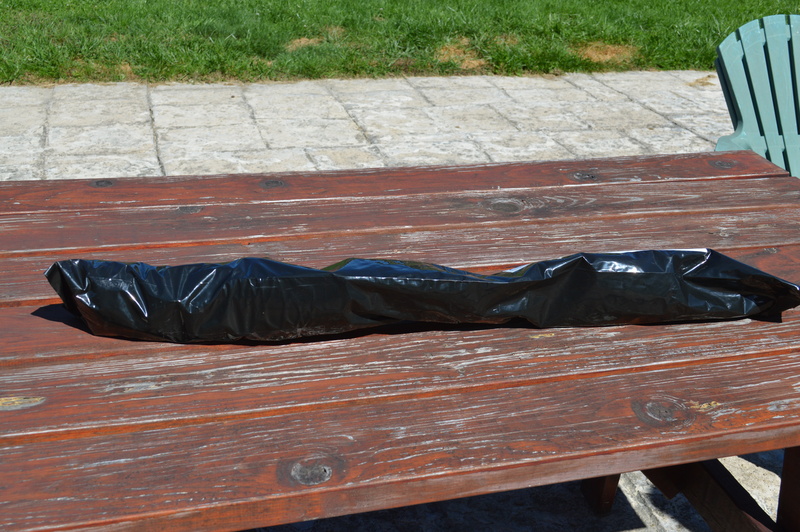 However, this toy is made out of scraps of what is a stretchy, almost T-Shirt-like material, so there is no fraying! 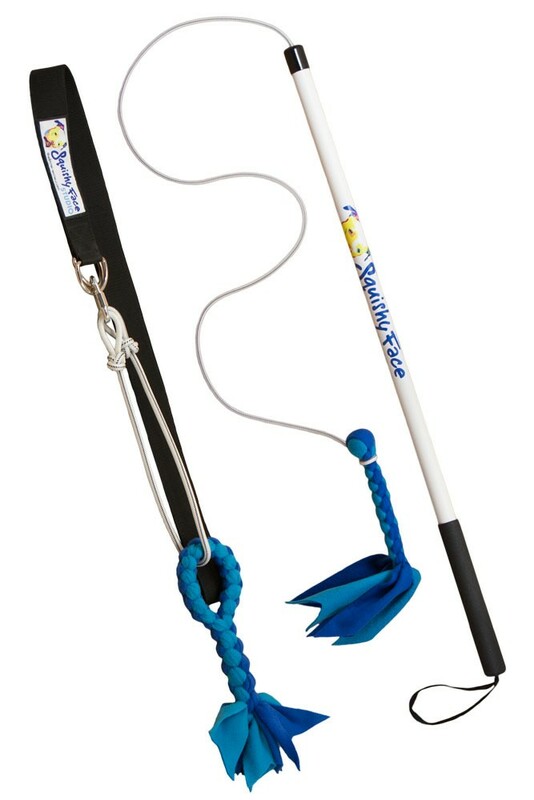 While this isn’t a toy that our dogs will play with on their own, it works well for fetching or tugging, and it still looks cute if it is accidentally left out when company comes over. While I can’t tell you exactly where to find it, I can tell you that you could probably make this into a DIY project! Have you tried antlers with your dogs? Our pups cannot. Get. Enough. These are all-natural, and you can even provide them yourself if you have access to the necessary supplies (ie a husband that hunts!) They are silly expensive from pet specialty stores, but you can also get them online through Etsy, or from private dealers (again with the Cabela’s, but there is a man who sells antlers himself outside of this store on weekends, and they are only $1.00 per piece!) Regardless of what price you pay for the antlers, it is worth it. Ours last for MONTHS, even with aggressive chewers in our house, and will not break off into shards. They also don’t smell or stain your flooring. 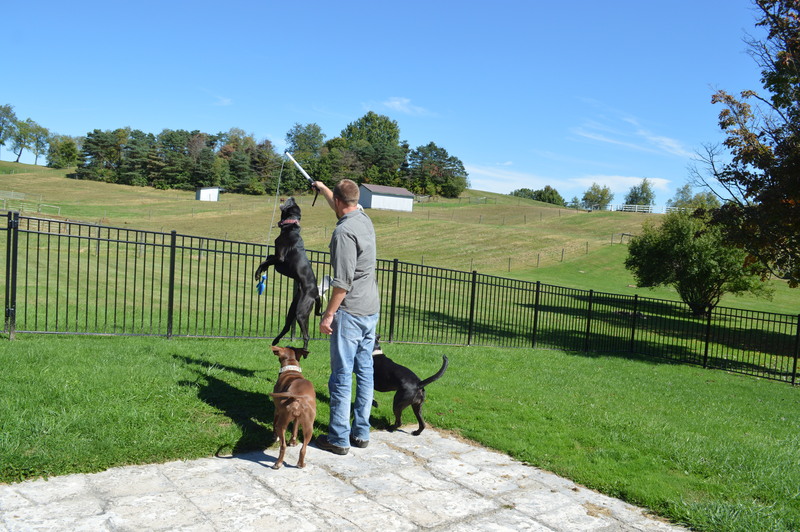 Our dogs like antlers so much that they are the only toy we have to moderate during playtime, to make sure no one is getting too possessive. 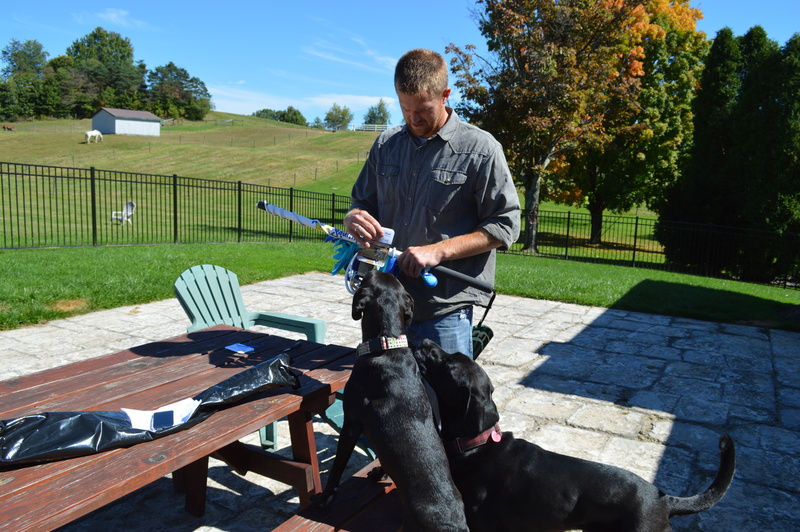 If you have tried the antlers, and your dogs didn’t take to them send them our way, please! try running them under warm water, which will release lots of smells to entice your pooch. 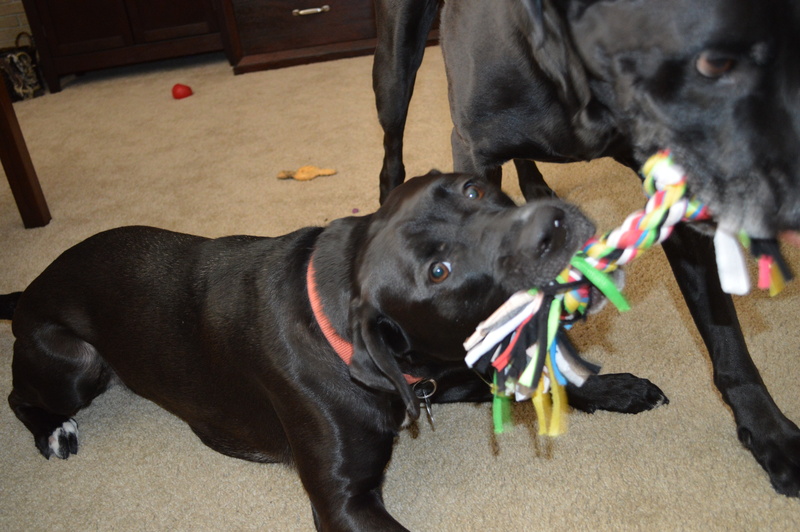 We are very lucky in that, for the most part, our dogs are pretty good about sharing their toys with one another. 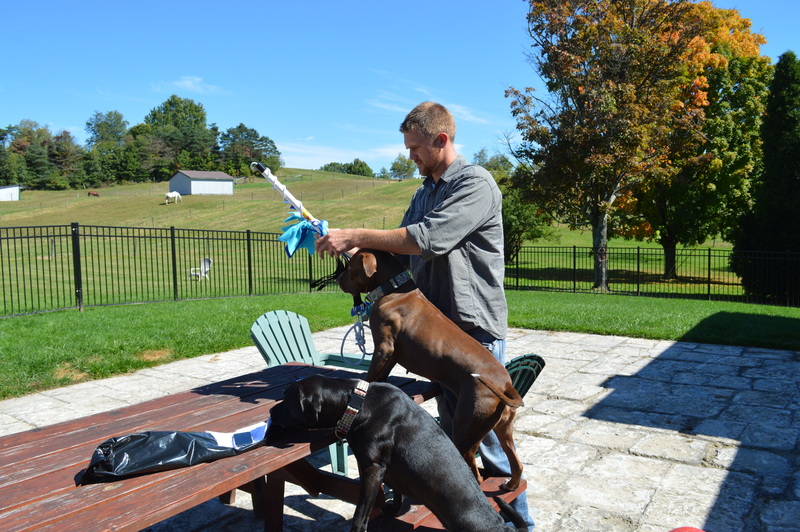 As I said, particularly high-value toys (like the antlers) can cause a grumble, so we make sure to moderate the pups when they are out. 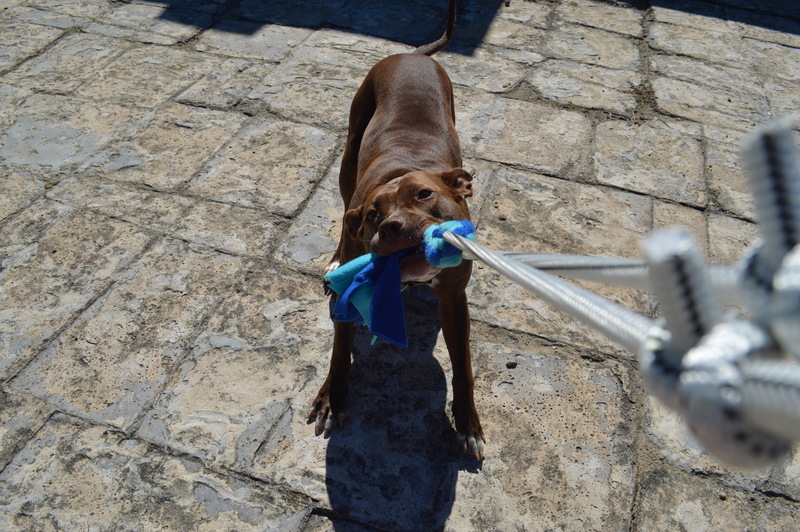 We try to dictate the “finder’s, keeper’s” rule, meaning that if one dog has a toy, they are to retain possession of that toy until they drop it of their own volition. Furthermore, if two dogs are tugging on the same toy, we make sure that their body language is light and happy, or the game ends and the toy disappears. Gaige is not always good about taking the other dogs’ signals seriously, so we must sometimes reinforce their growls by removing Gaige from the room, or putting her in a down-stay with a different toy. Georgia and Gaige have a funny little routine that they have worked out when it comes to sharing toys. 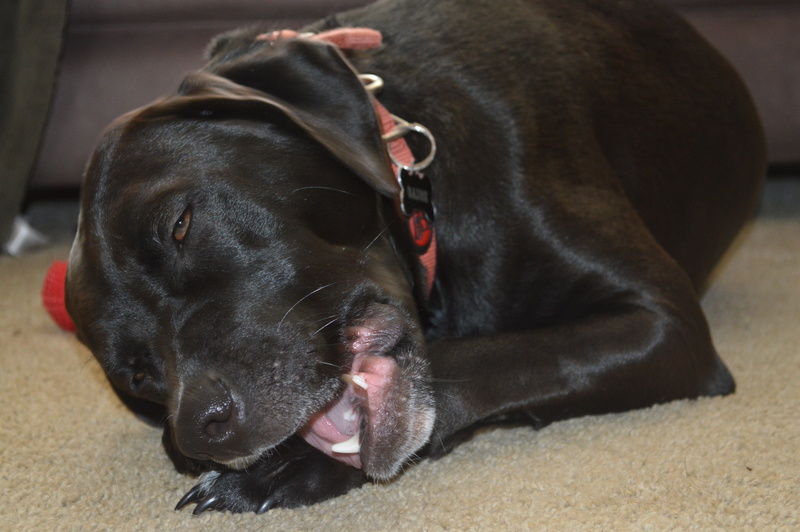 If, for example, Gaige is chewing on an antler that Georgia wants, Georgia will come up to her, playing animatedly with a different toy (typically one that is obnoxiously squeaky). This will entice Gaige to drop the antler, at which point Georgia will drop her squeaker toy. 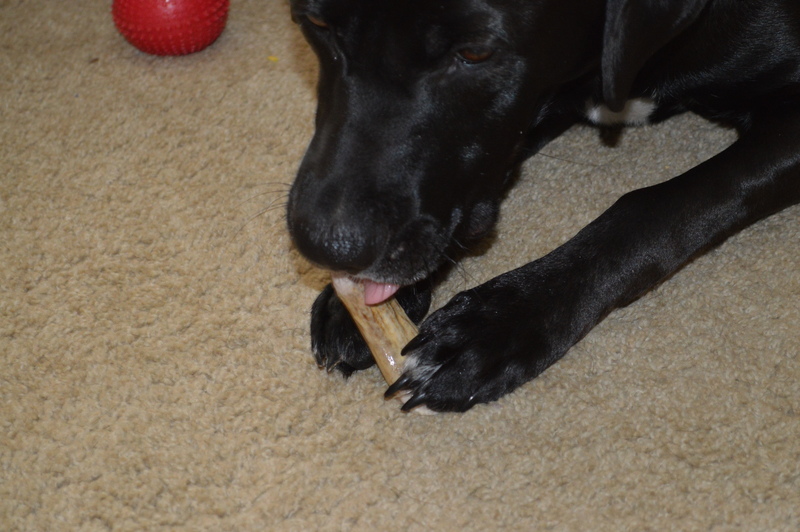 Once Gaige goes for the squeaking toy, Georgia is able to steal the antler, and head off to an undisclosed location. What a sneak! 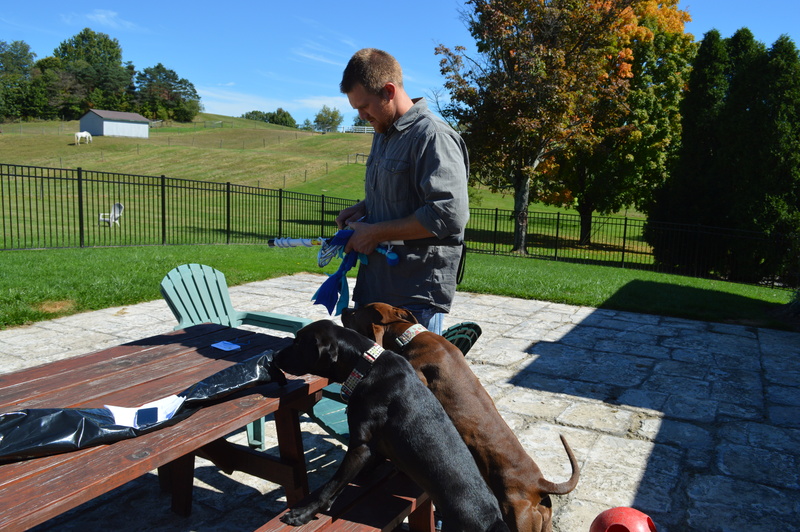 We still have a few awesome giveaways leftover from 2 Hounds Designs! For a chance to win a collar or a collar/leash combo, leave a comment with a suggestion for a post topic 🙂 Thanks!